03 « April « 2012 « Nothing in Biology Makes Sense! 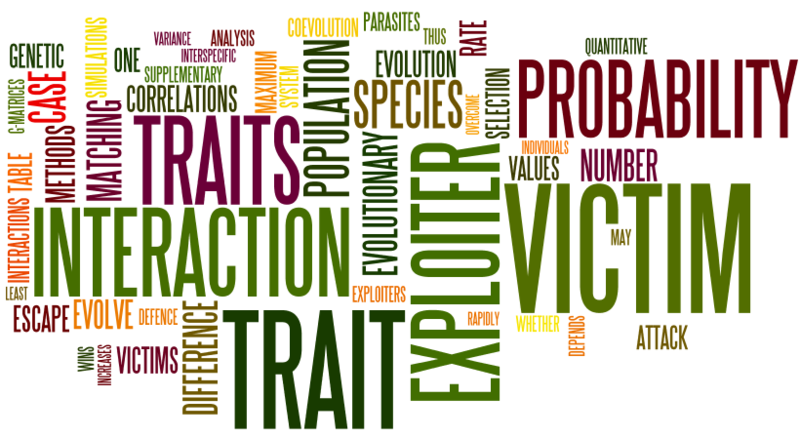 Instead of treating a coevolutionary interaction between two species as the interaction of only two traits, the authors investigate the nature of an interaction among a suite of traits in each species. It’s not hard to think of a host having a fortress of defenses against attack from a parasite with an arsenal loaded with many weapons.